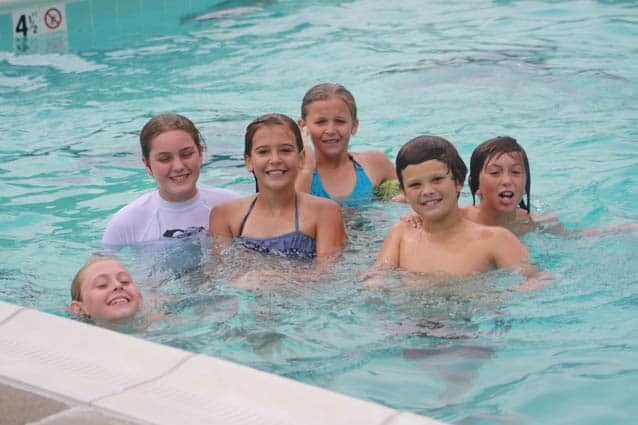 The pool at Johnson Rec Center is a cool outlet for summer campers. KILLINGTON — The Town of Killington’s Parks & Recreation Department is pleased to announce a full schedule along with a new location for its 2016 summer camps program. The 2016 summer camps season will offer 10 weeks of programs and activities from June 20 through Aug. 26, and will be based at Killington Resort’s Ramshead Lodge, located at 3880 Killington Road. From the new home-base at Ramshead, the Loads of Fun camps (ages 4-8) will travel to Johnson Recreation Center on Mondays and Wednesdays for hiking, swim lessons, open swim, and library programs. The Rek and Trek Adventure camps (ages 9-14) will travel throughout Vermont to experience hiking, tubing, swimming, and site seeing and will include the Killington Resort’s Adventure Center and Mountain Biking in their weekly experience. For more information or to register, visit killingtonrec.com.